For monitoring the efficiency of the corporate internet usage of the Proxy Server, we can go with the Proxy Log Storage. 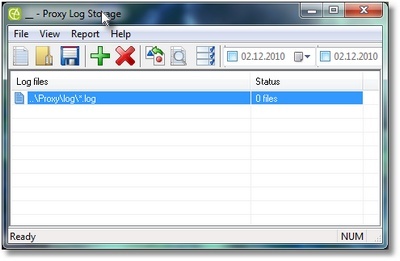 It is unique software as has support to more than 5 proxy log file formats. Using the software, you can create the dynamic reports and get the sub-report by right click the item you need. The application has the integrated flexible system of filters to recognize the log file formats automatically, extract compressed log files, process multiple log files and download log files from sources like: local path, Web or FTP. However, if you wish, you can customize the application in the best possible way to display your preferred data in the reports. Besides, you can print by simple and user friendly interface of the application.